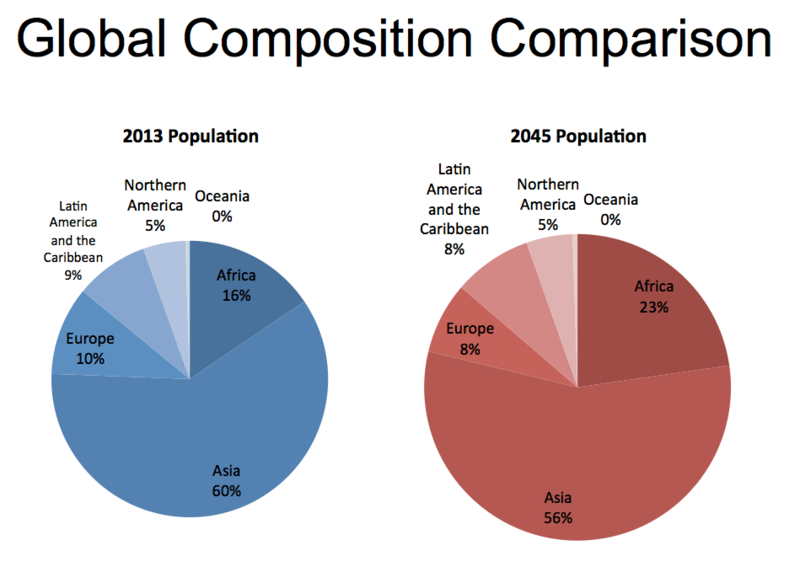 In the vein of documenting how the world most likely will look one generate hence, my researcher and I have been taking a look at a number of key global drivers. One, of course, is how we govern ourselves (you can see posts on that topic here and here). 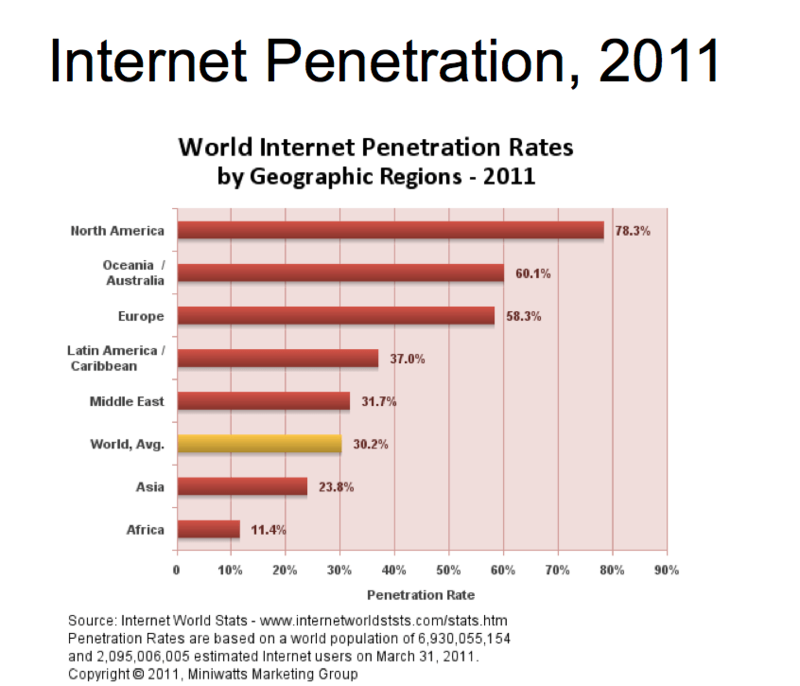 Another is global population. Let’s pivot to the media age of populations. This is a key metric of social stability – societies dominated by young people are often restive, in particular if they find themselves under autocratic regimes. The detailed data on the Middle East and North Africa for example, that shows that region moving from an average age of 26 in 2013 (young and restive) to nearly a decade older (older, more interested in stability). 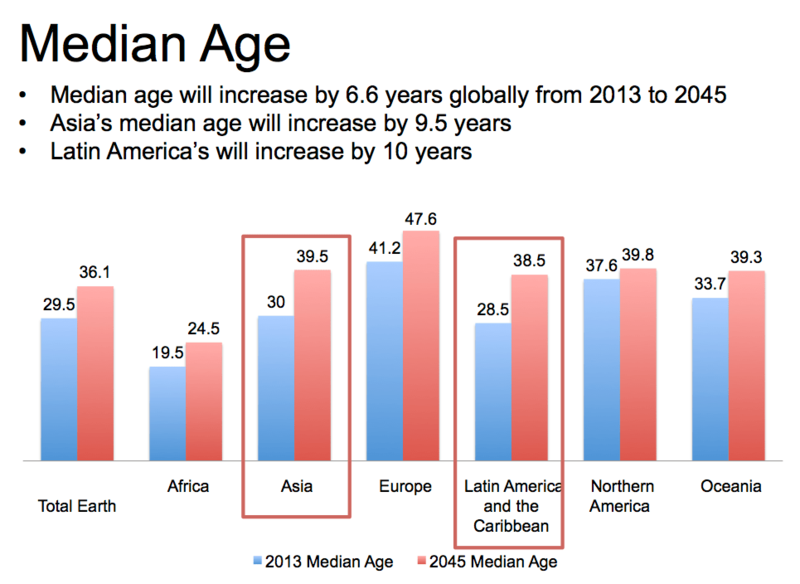 Note that the median age in Africa is rising toward what could augur instability by 2045. 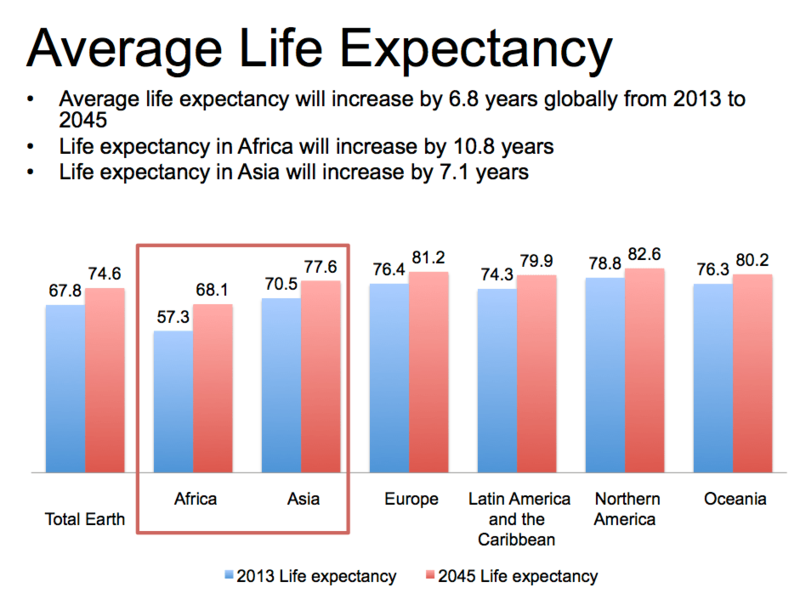 Asia and Latin America are aging the fastest. 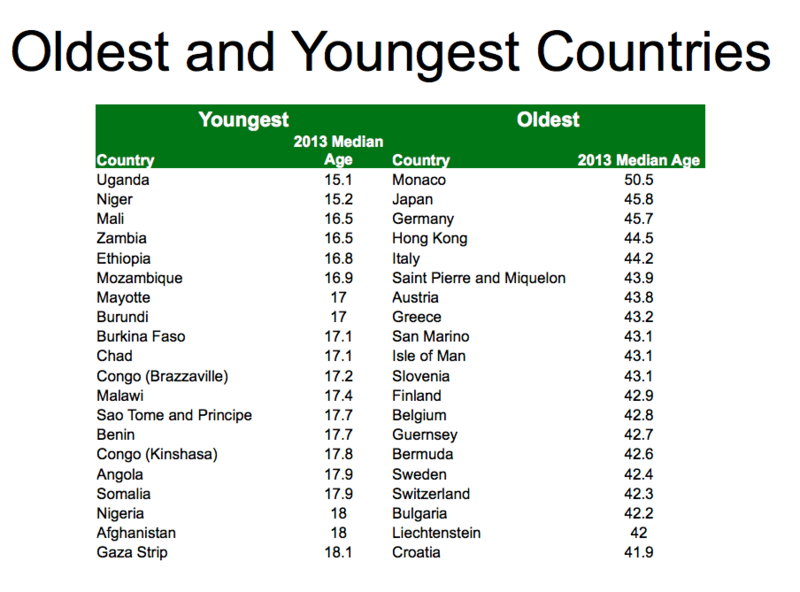 A list of oldest and youngest countries is interesting (above), as is the average life expectancy, where Africa, which had the most room to make up, adds more than a decade. 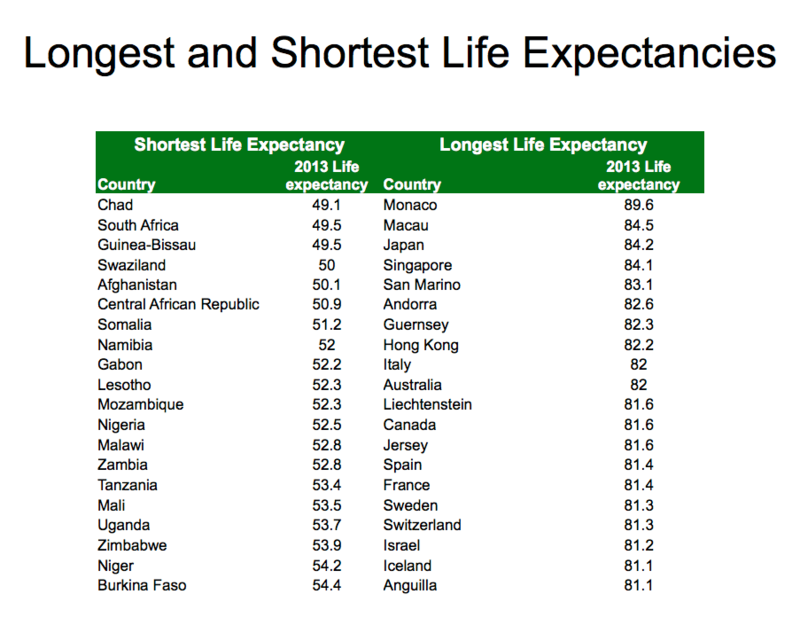 By country, it’s interesting to note that the US is not on the list of top nations in terms of life expectancies. Again, thanks to LeeAnn for pulling this together, and check the Slideshare for more details. Good stats to keep in mind. 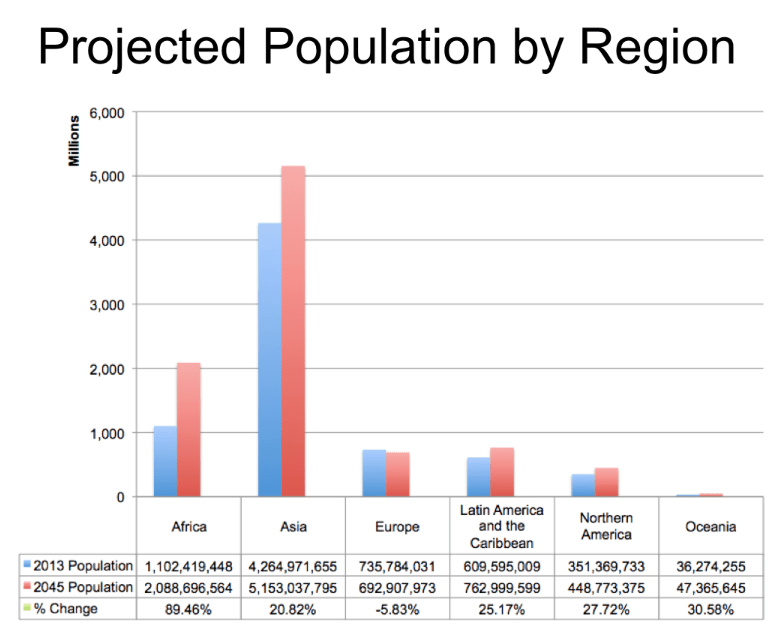 What should be monitored in parallel is how Wealth will be shifting with these populations. NA with only 5% of the population has 30% of the WW GDP today. What will be in 2045? Also, what scares me is that India will be adding 400 million, and despite their incredible economic growth, they might not be able to lift the majority of their people out of poverty. 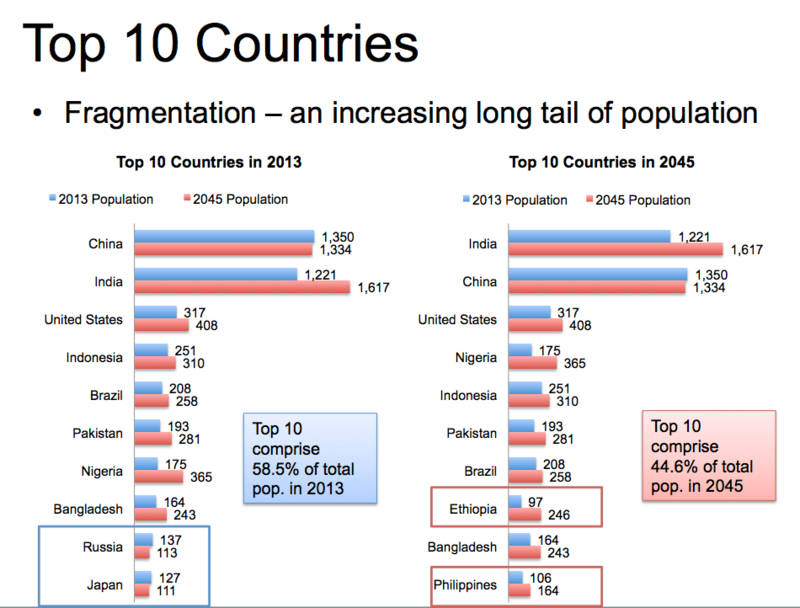 Contrast with China who is predicted to stagnate their population but with a lot economic growth, therefore will dramatically increase their per capita GDP. Africa is the big unknown, and they must increase their wealth at least 4X their population growth in order to make a dent in their living standards over these next 35 years. 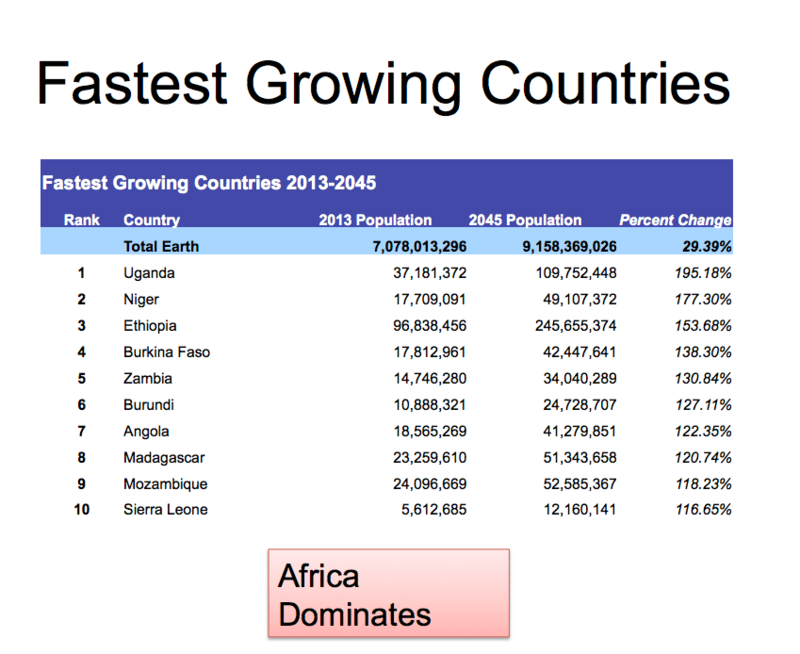 With a 90% pop growth, they will need to grow their economy X4 what it is today.